The Verce™MIPS® is well equipped to help you blaze new trails. The Roc Loc Sport system allows you to quickly and easily dial in your fit and the plush, quick dry padding provides a comfortable feel. Verce MIPS also features an integrated Multi-Directional Impact Protection System (MIPS), which can redirect energy and provide more protection in certain impacts. What is Mips? check the video. Mips means Multi-directional Impact Protection System. Mips was developed by a team of Swedish brain surgeons and neurologists who tasked themselves with creating a better bicycle helmet dedicated to reducing the rotational acceleration forces to the brain in the event of an angled impact. 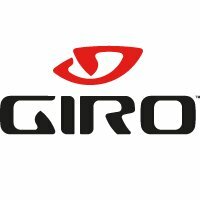 In the capable hands of Giro, Mips is a super-flexible low friction nylon head-hugging liner, designed to rotate inside the helmet in the event of an impact from any angle. Mips thus helps reduce the resulting rotational energy being transfered to the head - rotational energy that could otherwise cause serious injury to the brain should it violently impact the inside of the skull in the event of a crash. Mips therefore goes a long way to addressing the most frequent criticism of first generation helmets - that they are primarily designed to absorb the energy of a vertical head-on impact, and are less effective at saving you in the event of the type of angled impact, which is more likely to occur. Trail-inspired design with deep coverage.